Another section from my Civil War and Gettysburg text while I am away. 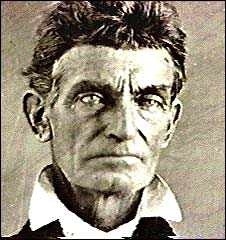 This one on John Brown, a man who was incredibly idealistic in his desire to free the slaves and frustrated by the lack of political progress in doing so. Brown was also a fanatic, willing to take lives, even innocent ones to make his point and fulfill his destiny. That is the problem with idealism when it becomes frustrated. Frustrated idealists often turn to violence to get their point across, which in turn makes even good causes suspect. Brown is no different than other religious ideologues and not just Christian ones. Religious idealists who become fanatics based on their belief in their cause and their destiny to fulfill it as agents of the almighty tend to be some of the most violent and ruthless of all. Brown provides us a little bit of an insight into the hearts of people who are willing to kill and to die for their religious, social and ideological beliefs. Interestingly enough it was none other than Edmund Ruffin, a slave owner and rabid supporter of the expansion of slavery and secession who seemed to understand Brown the best. The American Civil War teaches us about this, and it shows us that we as Americans can be just as vicious, bloodthirsty and savage in our methods of war as anyone else. As a side note I expect to be writing some about the Confederate Flag and something that I saw yesterday, a church that held a ceremony hoisting the “Christian Flag” over the American flag. I have very strong feelings about both of these subjects but those will wait. Have a great day, and think on these things. Perhaps the most vicious and bloodthirsty part of the American Civil War as the part played by the men leading irregular campaigns in the border states and on the peripheries of the major campaigns. In the South these units were called “partisan rangers” and “With a guerrilla tradition dating from the Revolution and an exaggerated notion of the romanticism associated with guerrilla operations, southerners formed dozens of ranger units.”  The guerrilla and counter-guerrilla campaigns of these units prefigured the insurgencies and counter insurgencies of future wars including those in fought by the French in Indochina and Algeria, the United States in Vietnam, Iraq and Afghanistan. 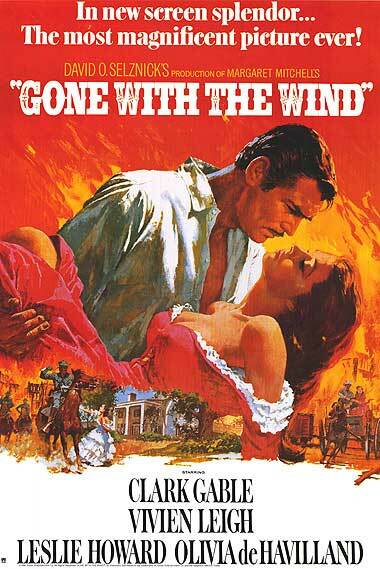 These actions actually began before the war, as early as 1854 in Kansas and continued on into the war. Sadly, these campaigns are ignored in all recent major works on counterinsurgency, including the American Army and Marine Corps Counterinsurgency Manual. 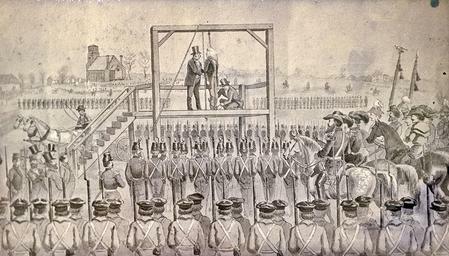 At Lawrence, Quantrill issued orders to kill “every man big enough to carry a gun.” The brutality and atrocities committed by Quantrill’s gang were perhaps some of the worst seen during the war. On their trek to Lawrence, Quantrill “force Kansas farmers to act as guides and then executed them.”  They arrived under the cover of night and devastated the town, when they departed they left behind “80 new widows and 250 fatherless children weeping in the ruins of the town. 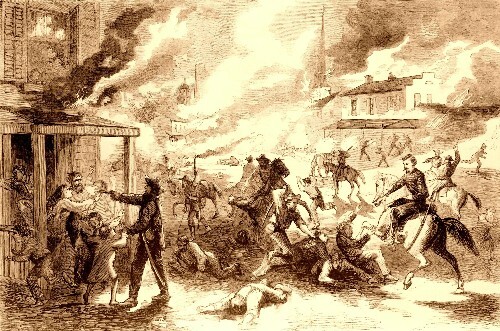 Nearly 200 buildings had been wrecked or burned, including all three newspaper offices and most of the business district, for a property loss amounting to two million dollars.”  After the raid Quantrill directed his men to resume their disguises as farmers, merchants and professed Unionists. 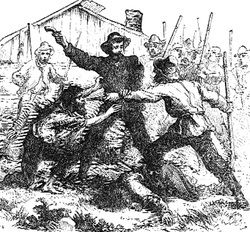 The Confederates did not have a monopoly on this type of behavior, “Unionist “Jayhawkers” such as James H. Lane, Charles R. Jennison, and James Montgomery matched them atrocity for atrocity.”  The admission of West Virginia as a Free State “threw up yet another guerrilla conflict wracking West Virginia as much as the similar guerrilla conflict, similarly precipitated, devastated Missouri.”  A Union Captain from Ohio “serving with West Virginia soldiers was astonished by this “passion, this desire for revenge….Hate rankled in their breasts.”  Many West Virginia Unionists in the interior of the State were forced to flee their homes to cities along the Ohio where they could be protected by Union troops. The evacuation involved to carry out the order affected an estimated 20,000 inhabitants of “Bates, Cass, and Jackson Counties and the northern half of Vernon County, which were supposed to have sustained Quantrill’s raiders…. Those who could persuade the commander of the nearest military post of their Unionism might be issued certificates permitting them to remain in the state if they moved to military posts. The rest had to go. Hay and grain found in the area after evacuation would be destroyed or taken to military posts and credited to Unionists.”  In a sense the order prefigured future counterinsurgency or anti-partisan strategies employed by the Germans, the French and later the Americans in the Twentieth and Twenty-first centuries. 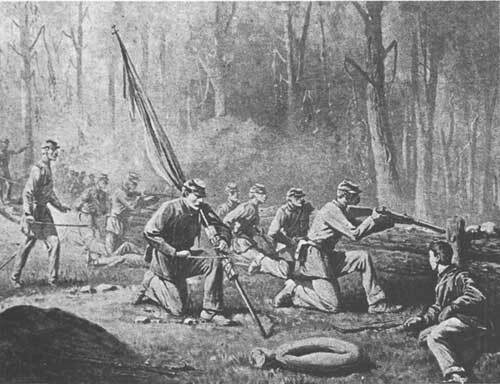 While these campaigns often were part of local hatred “Confederate irregular forces were intended to be an adjunct to the conventional field armies” and they “developed into a powerful tool for the Confederate war effort.”  The best and most disciplined of these forces were those commanded by John Singleton Mosby who operated in conjunction with Robert E. Lee’s Army of Northern Virginia. Nicknamed the “Gray Ghost” by his Union opponents, Mosby “kept his men under military discipline and bedeviled the Yankee invaders.”  His troops would accompany J.E.B. Stuart’s cavalry during the Gettysburg campaign conducting reconnaissance operations behind the Union lines during the opening phases of the campaign. Despite the efforts of the Confederate guerrillas and insurgents who tied down many Union troops, the vigorous action of Union leaders, political as well as military kept the key Border States in the Union. The heavy handed but necessary actions of General Ewing and others deprived Quantrill and other insurgent leaders of safe havens and helped to secure the region from further attacks and the insurgents were forced to move to other areas. These Union measures deprived the Confederates of the chance to become independent by controlling the Ohio Valley and the Mississippi. During the anniversary of the Battle of Gettysburg I tend to focus on that battle, and the actions of the men who fought it. I anticipate that I will add another article tomorrow from my Civil War and Gettysburg text dealing with a part of that battle, but today because it is so pertinent even 150 years after the war, I will revisit the myth of the Lost Cause and its influence on American history and race relations after the war was over. Sadly, the desire of Northern corporations, Southern landowners and those who sought reunion over justice, the rights of African Americans were not only subjugated to those interests but blacks were again degraded and their efforts to achieve their own freedom cast aside as politicians, landowners, academics, businessmen, preachers and even veterans organizations raced to forget what the war was about. This post is also part of my Gettysburg text and I do hope that it will cause us all to think about how history and justice can be obscured in the interest of covering over crimes for political, economic and social goals. Jefferson Davis, who had masterfully crafted “moderate” language, which radicals in the South used to their advantage regarding the expansion and protection of the rights of slave owners in the late 1850s to mollify Northern Democrats, and who wrote in October 1860 that: “The recent declarations of the Black Republican part…must suffice to convince many who have formerly doubted the purpose to attack the institution of slavery in the states. 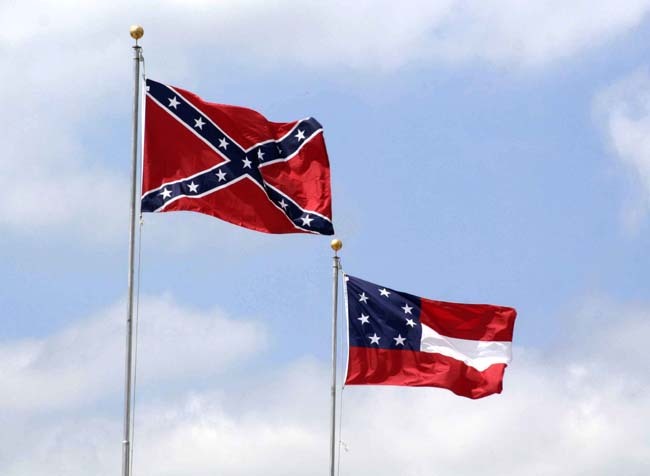 The undying opposition to slavery in the United States means war upon it where it is, not where it is not”  was not above changing his longstanding insistence that the slavery was the heart of the Confederacy’s claim to existence and the reason for secession. Jefferson Davis became an incarnational figure for the adherents of this new religion. A Christ figure who Confederates believed “was the sacrifice selected-by the North or by Providence- as the price for Southern atonement. Pastors theologized about his “passion” and described Davis as a “vicarious victim”…who stood mute as Northerners “laid on him the falsely alleged iniquities of us all.”  It was a theme that would be repeated by others in the coming decades, instead of a traitor to his nation; Davis became a figure like Jesus Christ, condemned though innocent. 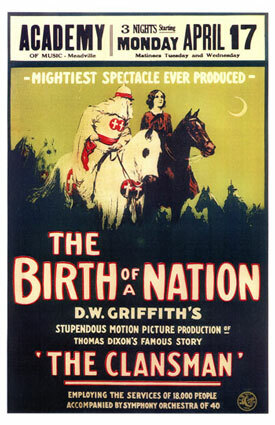 The romantic images of the Lost Cause were conveyed to the American public by numerous writers and Hollywood producers including Thomas Dixon Jr. whose play and novel The Clansman became D.W. Griffith’s The Birth of a Nation; a groundbreaking part of American cinematography which was released in 1915. 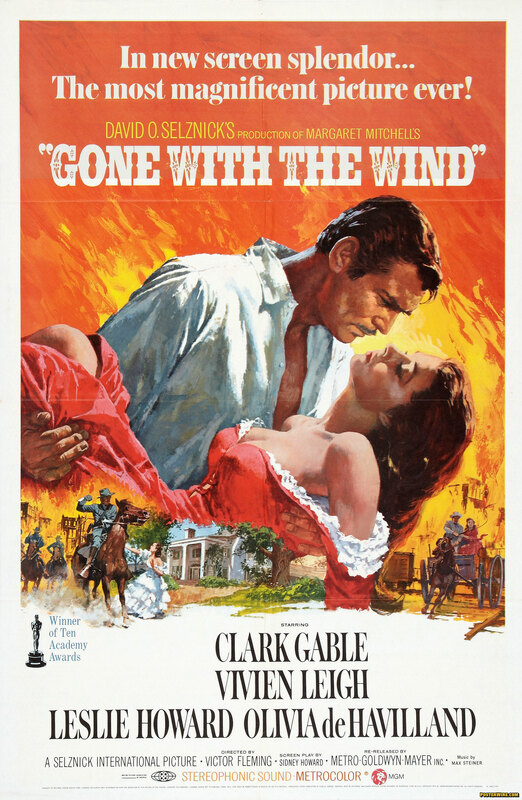 Margaret Mitchell, who penned the epic Pulitzer Prize winning novel Gone With the Wind, which in its 1939 film form won ten academy awards immortalized the good old days of the old South with images of faithful slaves, a theme which found its way into Walt Disney’s famed 1946 animated Song of the South. Through such films and books the myth of the Lost Cause became part of the national heritage with many people in states outside of the South and even some foreigners coming to believe the myth. 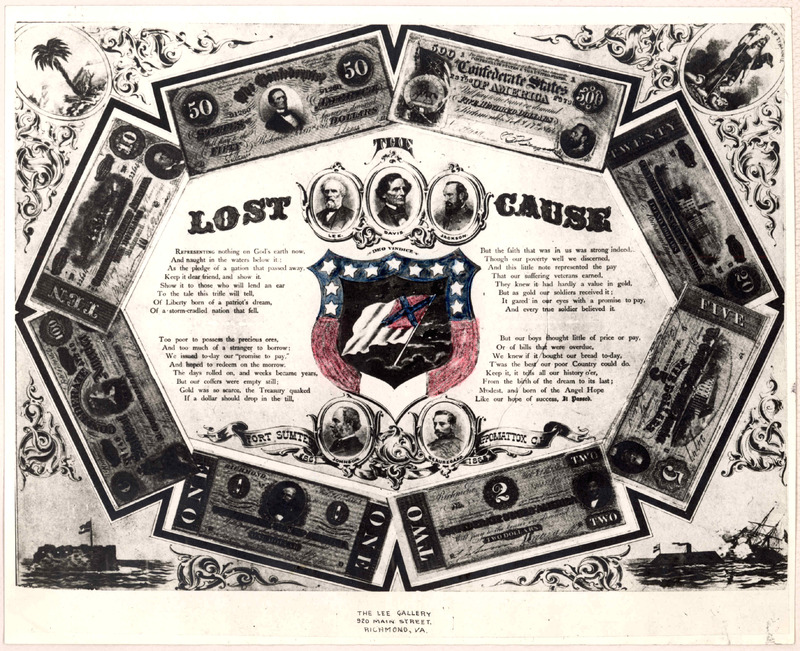 The Lost Cause helped buttress the myths that both comforted and inspired many Southerners following the war. “It defended the old order, including slavery (on the grounds of white supremacy), and in Pollard’s case even predicted that the superior virtues of cause it to rise ineluctably from the ashes of its unworthy defeat.”  The myth effectively helped pave the way to nearly a hundred more years of second class citizenship for now free blacks who were often deprived of the vote and forced into “separate but equal” public and private facilities, schools and recreational activities. The Ku Klux Klan and other violent organizations harassed, intimidated, persecuted and used violence against blacks. When Reconstruction ended Southerners elected officials who turned a blind eye to the activities of the Klan and instituted state laws which denied most civil rights to African Americans, “From the 1880s onward, the post-Reconstruction white governments grew unwilling to rely just on intimidation at the ballot box and themselves in power, and turned instead to systematic legal disenfranchisement.”  Lynching was common and even churches were not safe. It would not be until the Civil Rights movement of the 1950s and 1960s that blacks would finally begin to gain the same rights enjoyed by whites in most of the South. 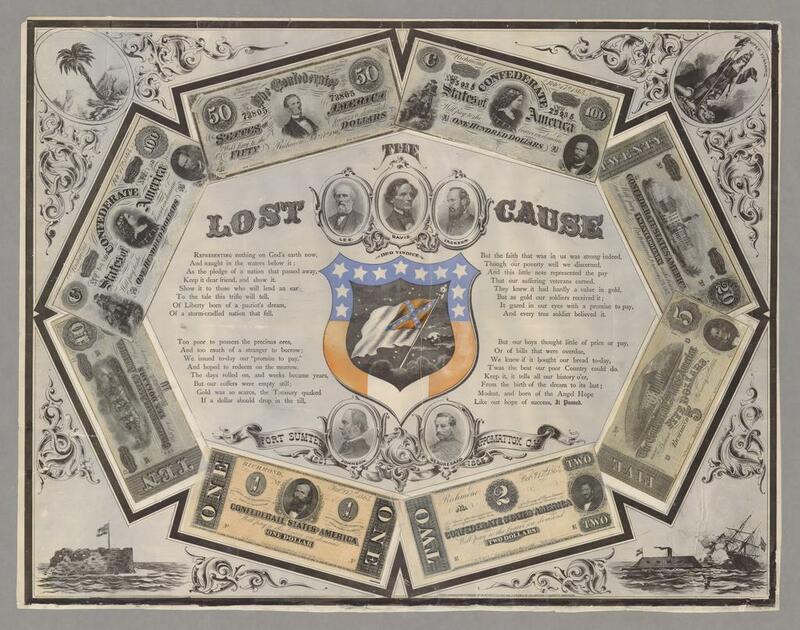 Despite this, many Union veterans to their dying day fought the Lost Causers. 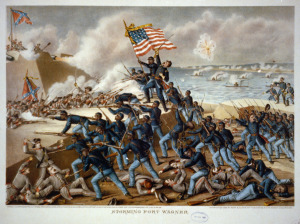 Members of the Grand Army of the Republic, the first truly national veteran’s organization, and the first to admit African American soldiers as equals, the predecessor of modern veteran’s groups, continued their fight to keep the public fixed on the reason for war, as well as point out the profound difference between what they believed that they fought for, and what their Confederate opponents fought for during the war. The American Civil War provides a complex drama that political leaders, diplomats and military leaders would be wise to study, and not simply the military aspects and battles. Though the issues may be different in nations where the United States decides to intervene to prevent humanitarian disasters, to prevent local civil wars from becoming regional conflagrations, or to provide stability after a civil war, the conflict provides poignant example after poignant example. If we fail to remember them we will lose who we are as a nation. Sadly, all too often that is what we do. Likewise, that imperfect but reunited Union was all that stood in the way of Nazi Germany in the dark days of early 1942. Had the American republic fragmented during the war, had the South won, as so many kings and dictators of the day either openly or secretly desired, there would have been nothing to stand in the way of Hitler and his legions. Neither there would there be anyone to stand in the way of the modern despots, terrorists and dictatorships such as the Islamic State today. Religion does matter to peoples, tribes and nations. It is still an important part of both foreign and domestic policy, even if a civilian policy maker or military strategist or operational planner does not believe in God and the effect of it cannot be minimized. Michael Oren notes “the impact of religion in shaping American attitudes and policies toward the Middle East” in his book Power, Faith and Fantasy: America and the Middle East 1776 to the Present. The conflict between largely secular Roman Catholics, Orthodox Christians and Moslems in the Balkans is a glaring example of how people who are basically non-religious will rally around faith as a means of unity against rivals of a different faith, even those who are their long time neighbors. In our culture of secularization we forget the primal importance of religion to others. Part of what we do not realize is that for people with Fundamentalist religious beliefs, no-matter what religion they belong to that religion is bedrock in times of tumult. When times are tough it is far easier for people to fall back on the more simple and fundamental aspects of their religious beliefs. For Americans this usually plays out in the individual drama of struggle, faith, sin and redemption and salvation. 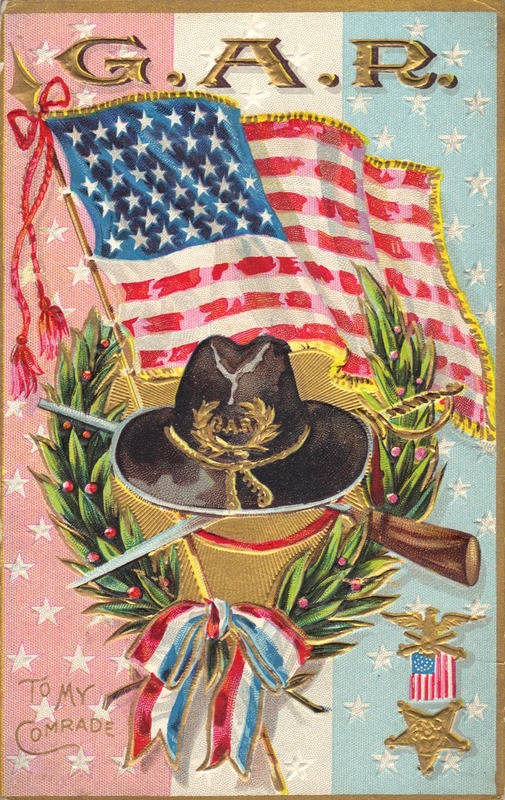 However, even in the United States religion can be, as we have seen from this brief look at the importance of religious faith and ideology in the ante-bellum United States, the Civil War and the aftermath of the war and Reconstruction, be translated into a catalyst and buttress for mass movements and holy war. The controversies and conflicts brought on by the ideological, social and religious divides in the Ante-Bellum United States provide current leaders with historical examples. Our Civil War was heavily influenced by religion and the ideologies of the partisans in the North and in the South who were driven by religious motives, be those of the evangelical abolitionists or the proslavery evangelicals. If one is honest, one can see much of the same language, ideology and religious motivation at play in our twenty-first century United States. The issue for the vast majority of Americans, excluding certain neo-Confederate and White Supremacist groups, is no longer slavery; however the religious arguments on both sides of the slavery debate find resonance in our current political debates. Likewise, for military, foreign policy officials and policy makers the subject of the role of religion can be quite informative. Similar issues are just as present in many the current conflicts in the Middle East, Africa and Eastern Europe which are driven by the religious motives of various sects. The biggest of these conflicts, the divide between Sunni and Shia Moslems, is a conflict that threatens to engulf the region and spread further. In it religion is coupled with the quest for geopolitical and economic power. This conflict in all of its complexity and brutality is a reminder that religion is quite often the ideological foundation of conflict. These examples, drawn from our own American experience can be instructive to all involved in policy making. These examples show the necessity for policy makers to understand just how intertwined the political, ideological, economic, social and religious seeds of conflict are, and how they cannot be disconnected from each other without severe repercussions. By taking the time to look at our own history as well as our popular mythology; planners, commanders and policy makers can learn lessons if they take the time to learn, will help them understand similar factors in places American troops and their allies might be called to serve, or that we might rather avoid. 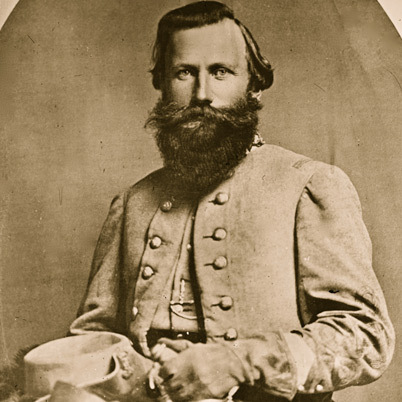 Today’s article is about one of the most famous leaders of the Civil War, Confederate Cavalry commander James Ewell Brown “JEB” Stuart. He too is a complex character; exceptionally vain and self-seeking, capable of being a loyal friend or an implacable foe who confused fame with greatness because he did not have the depth of character to tell them apart. He led his troopers with great abandon to many victories but had little ability to reflect on his own actions which hurt the Confederate cause. 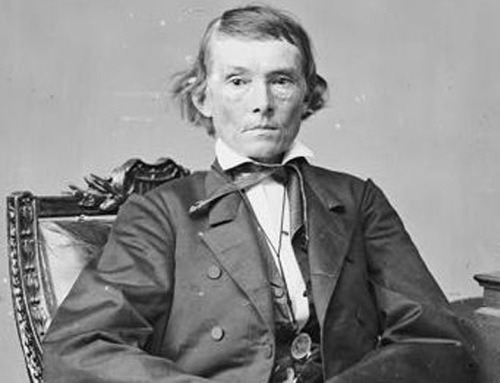 Major General James Ewell Brown Stuart was the son of a former congressman whose family went back five generations in Virginia. Like so many officers, his life is marked by contradictions. Eminently genial and fun-loving, he had a dark side of unbridled ambition and a willingness to use his rank, power and position to crush anyone who got in his way. Stuart was commissioned as a Second Lieutenant and assigned to the Mounted Rifles, which Stuart noted was “a corps which my taste, fondness for riding, and my desire to serve my country in some acceptable manner led me to select above all the rest.”  Stuart would serve with the Mounted Rifles for about a year before being selected to serve in one of the first Cavalry regiments formed, the First Cavalry at Jefferson Barracks Missouri. Some believed that Stuart should have been appointed to command Second Corps after Jackson’s death, but evidently Lee valued Stuart’s role as a cavalry commander more and despite his accomplishments refused to proffer the command to Stuart. Colonel Rosser told Stuart, who was grieving the loss of his friend Jackson: “On his death bed Jackson said that you should succeed him, and command his corps.” Stuart responded “I would rather know that Jackson said that, than to have the appointment.”  One wonders what might have occurred during the Gettysburg campaign if Stuart had commanded Second Corps and left the cavalry to someone like the accomplished and level headed Wade Hampton. This is the final installment `of a very long chapter in my Gettysburg Staff Ride Text. The chapter is different because instead of simply studying the battle my students also get some very detailed history about the ideological components of war that helped make the American Civil War not only a definitive event in our history; but a war of utmost brutality in which religion drove people and leaders on both sides to advocate not just defeating their opponent, but exterminating them. I probably will write something using some of these ideas in a contemporary setting tomorrow…. 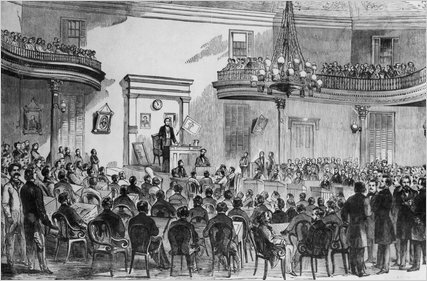 The effects of Sumner’s speech were equally dramatic, partially because he also personally insulted a number of influential Southern Senators while making it. 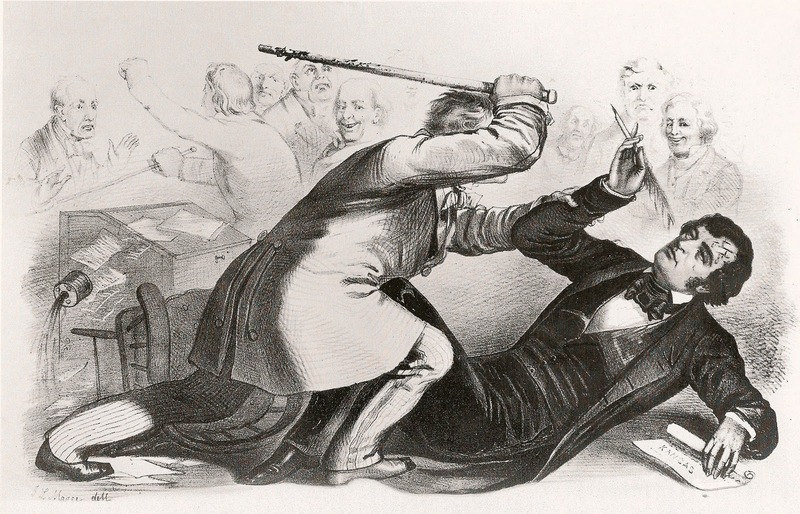 Two days after the speech, while sitting at his desk in a nearly deserted Senate floor, Sumner was attacked by South Carolina representative Preston Brooks, who was related to one of the men, Senator Andrew P. Butler, who Sumner had insulted in his “Crime against Kansas” speech. In the North there too existed an element of fanaticism. 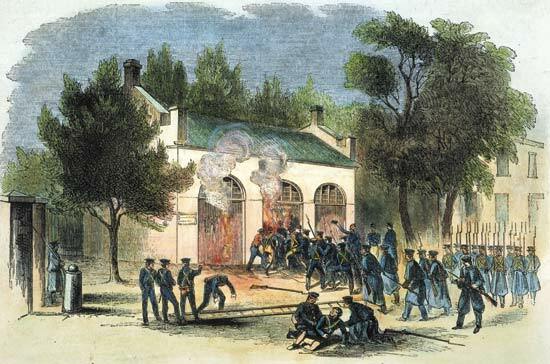 While “the restraining hand of churches, political parties and familial concerns bounded other antislavery warriors,”  and while most abolitionists tried to remain in the mainstream and work through legislation and moral persuasion to halt the expansion of slavery with the ultimate goal of emancipation; there were fanatical abolitionists that were willing to attempt to ignite the spark which would cause the powder keg of raw hatred and emotion to explode. 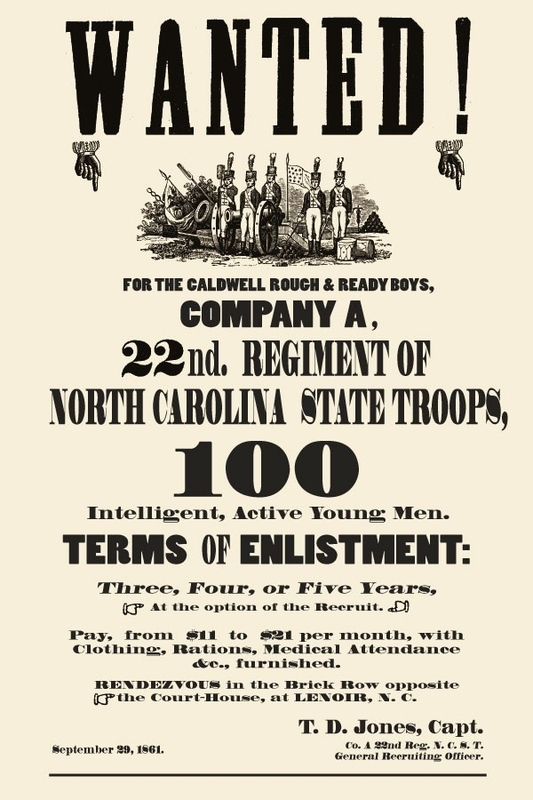 Throughout the war slavery loomed large, even though in the beginning of abolition controversies of the 1830s many northerners “were content to tolerate slavery’s indefinite survival in the South so long as it did not impinge on their own rights and aspirations at home.”  Such attitudes were still common in the North during the late 1850s, especially among Democrats. But both sides were blind to their actions and with few exceptions most leaders, especially in the South, badly miscalculated the effects of the election of 1860. 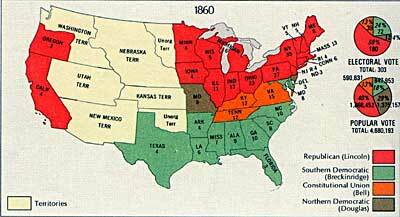 The leaders in the North did not realize that the election of Lincoln would mean the secession of one or more Southern states, and Southerners “were not able to see that secession would finally mean war”  despite the warnings of Alexander Stephens to the contrary. In his First Inaugural Address Lincoln noted: “One section of our country believes slavery is right and ought to be extended, while the other believes it is wrong and ought not to be extended. This is the only substantial dispute.” Of course he was right, and his southern opponents agreed. As no middle ground remained, the nation plunged into war with many leaders, especially church leaders forged ahead to claim the mantle of Christ and God for their side; and given the widely held theological “assumptions about divine sovereignty and God’s role in human history, northerners and southerners anxiously looked for signs of the Lord’s favor.”  Of course people on both sides used the events of any given day during the war to interpret what this meant and both were subject to massive shifts as the God of Battles seemed to at times favor the armies of the Confederacy and as the war ground on to favor those of the Union. Those who had been hesitant about secession in the South were overcome by events when Fort Sumter was attacked. 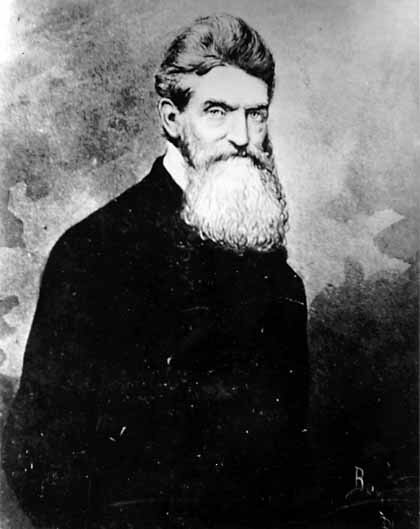 Edmund Ruffin spoke for many of the ardent secessionists when he proclaimed “The shedding of blood…will serve to change many voters in the hesitating states, from submission or procrastinating ranks, to the zealous for immediate secession.”  But very few of the radical secessionists found their way into uniform or into the front lines. Then like now, very few of those who clamor for war and vengeance the most, and who send the sons of others to die in their wars, take up arms themselves. Some twenty months after Fort Sumter fell and after nearly two years of unrelenting slaughter, culminating in the bloody battle of Antietam, Lincoln published the emancipation proclamation. 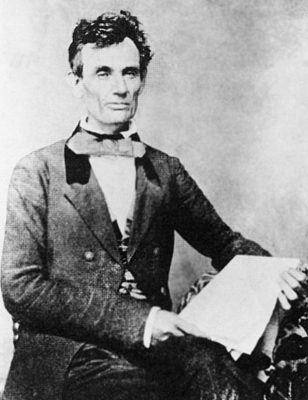 It was a military order in which he proclaimed the emancipation of slaves located in the Rebel states, and it would be another two years, with the Confederacy crumbling under the combined Federal military onslaught before Lincoln was able to secure passage of the 13th Amendment to the Constitution. The amendment abolished slavery and involuntary servitude throughout the country, as well as nullified the fugitive slave clause and the Three-Fifths Compromise. Though limited in scope the Emancipation Proclamation had more than a social and domestic political effect, it ensured that Britain would not intervene in the war. soul’s Gethsemane, a nation’s hate, A dungeon’s gloom! Despite this many Union veterans to their dying day fought the Lost Causers. 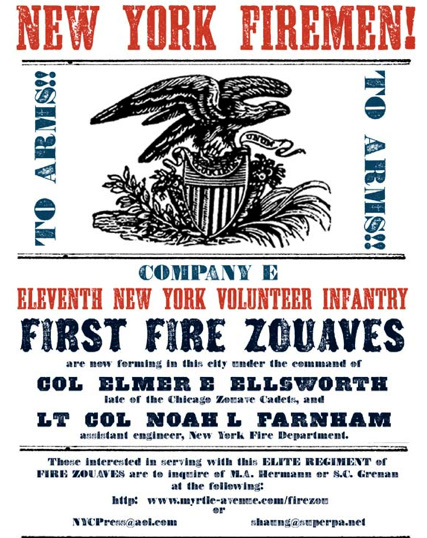 Members of the Grand Army of the Republic, the first truly national veteran’s organization, and the first to admit African American soldiers as equals, and the predecessor of modern veteran’s groups, continued their fight to keep the public fixed on the reason for war, and the profound difference between what they believed that they fought for and what their Confederate opponents fought for during the war. The American Civil War provides a complex drama that political leaders, diplomats and military leaders would be wise to study, and not simply the military aspects and battles. Though the issues may be different in nations where the United States decides to intervene to prevent humanitarian disasters, prevent local civil wars from becoming regional conflagrations, or to provide stability after a civil war, the conflict provides poignant example after poignant example. If we fail to remember them we will lose who we are as a nation. Likewise, that imperfect but reunited Union was all that stood in the way of Nazi Germany in the dark days of early 1942. Had the American republic fragmented during the war; had the South won, as so many kings and dictators of the day either openly or secretly desired, there would have been nothing to stand in the way of Hitler, and there would be nothing to stand in the way of the modern despots, terrorists and dictatorships such as the Islamic State today. By taking the time to look at our own history as well as our popular mythology; planners, commanders and policy makers can learn lessons that if they take the time to learn will help them understand similar factors in places American troops and their allies might be called to serve, or that we might rather avoid.